€ 6.895,00 € 8.342,95 VAT incl. € 995,00 € 1.203,95 VAT incl. 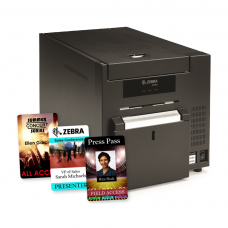 The Zebra ZXP Series 1 card printer provides high-quality card printing at a marketleading price. 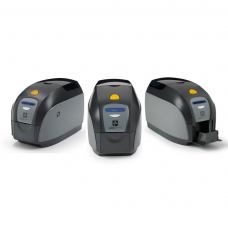 Ideal for low-volume, single-sided printing applications in color or monochrome, the ZXP Series 1 offers a complete card printing solution with a minimal upfront investment. Its ENERGY STAR™ certification and ecofriendly print cartridges make it the best entry-level printer on the market. 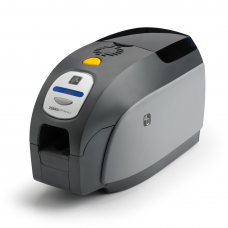 Zebra ZXP Series 3 direct-to-card printer offers a variety of functions; excellent print quality and low running costs. The ZXP 3 offers high-capacity ribbon options along with the ability to select the card thickness, appropriate for the application. In combination with Zebra's environmentally friendly media, the ZXP Series 3 is the most cost-effective printing solution in its class. The ZXP Series 3 offers very nice high-quality full-color and monochrome prints on single-sided or double-sided cards. Operating the ZXP Series 3 is simple due to the control panel design, colored touch points and quick-replace Load-N-Go.